I’ll take care of everything. You're 100% supported through your style journey, you can contact me anytime. I supply heaps of guides and resources to help you learn more and take control over your wardrobe. We’ll go through some pre-styling activities including an online style profile. It’ll get you thinking more in depth about your current wardrobe and how you would like your style to be. This is where the real fun begins. You’ll discover how to dress for your shape and we’ll use the power of colour to transform your wardrobe. We’ll talk about how you can get in touch with your personal style so you can inject your personality into your everyday look. 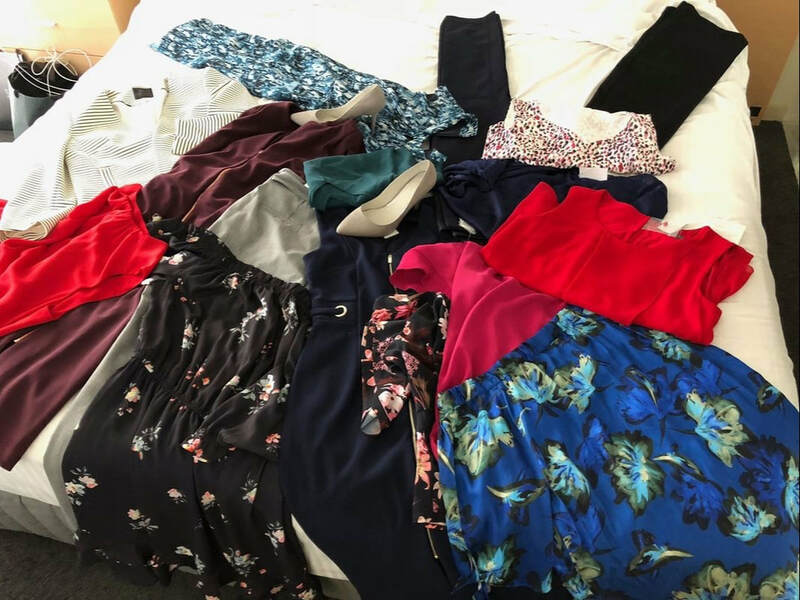 I’ve found that most women actually wear clothes 2 or more sizes too big for their frames – I happen to have magic slimming techniques that help you visually lose a dress size without having to diet or exercise. Woohoo! 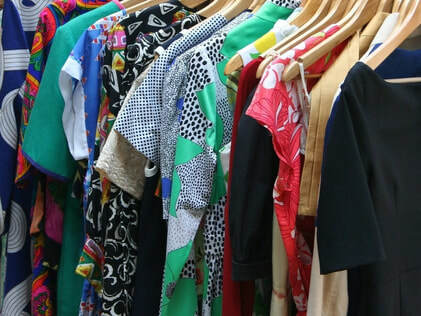 Did you know you can shop in your own wardrobe? Learn how to mix and match your new items with the old, declutter and once we’re finished we’ll get everything organised. You’ll have more space and be able to find everything you need in no time at all. If there’s anything missing we’ll make a note and add it to your shopping list. My superpower is shopping. I’ll show you all my tips and tricks to save money and put together a killer wardrobe from what’s in season. We’ll also talk about how to stick to your budget, and I’ll show you how to find pieces that’ll give you great value for money. Note: YOU set the shopping budget (not me). If you only want to pick up the essentials that’s totally ok, I’ll give you the skills to find the right pieces (at the right prices). Think it’s all over once we’ve finished your wardrobe? Nup. Styling is for life, and I know that the journey you’re on will take longer than one shopping session. For as long as you need, I’ll be there with seasonal fashion advice, styling guides and I’m always happy to give opinions while you build your wardrobe. Think of me as your new style bestie. Plus, I’m here for you. It costs nothing to ask me what I think if you’re looking for new outfits. I even put together Pinterest Boards for my Virtual Clients, and I’d be happy to do the same for you. The investment: just $970. Think about it this way it’s an investment that’ll actually save you money. Still worried about the cost? What if I told you that I save money for most of my clients? You’d be surprised at the number of items you can buy for a small investment. 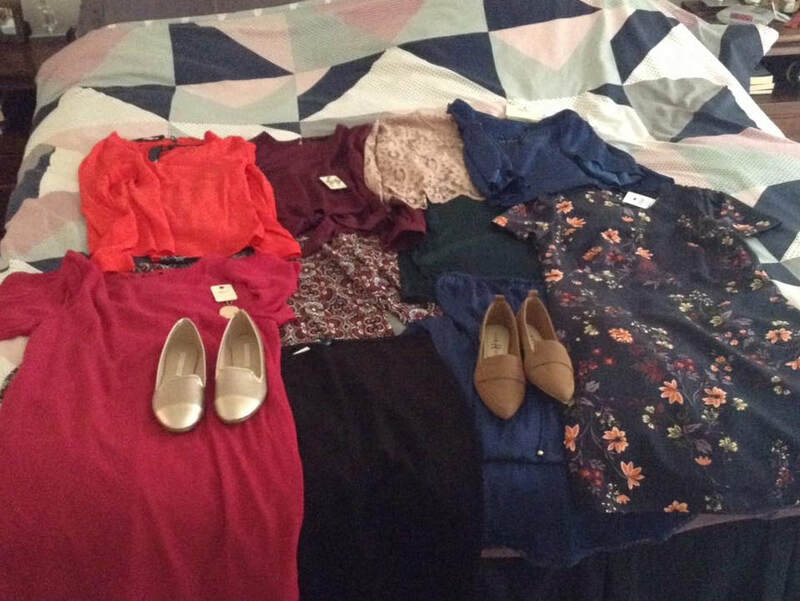 Below are some images of what my clients have bought on a shopping day for under $1000. "I think I've actually saved money after shopping with Gerlinda. I used to impulse buy things and never wear them, but now everything I buy has a purpose. I know I've spent less this year than normal but I feel like I have more choice now." "Gerlinda showed me how to stop buying clothes I'll never wear, and start buying things that are well worth the investment. I love my new wardrobe."